Why would I need self storage in Oak Lawn, IL? There are a variety of reasons why you might need self-storage in Oak Lawn, IL. How much is a storage unit in Oak Lawn, IL? The cheapest storage unit in Oak Lawn, IL is $43.00 per month. What size storage units do you have available in Oak Lawn, IL? In Oak Lawn, IL we have sizes that range from 5'x6' to 10'x20' to suit your storage needs. How much is it for a 5'x6' storage unit in Oak Lawn, IL? The cheapest 5'x6' storage unit in Oak Lawn, IL is $43.00 per month. 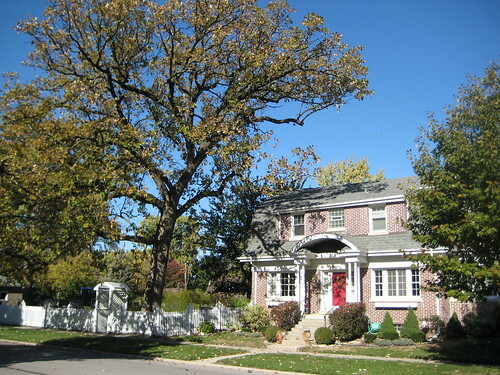 Oak Lawn is a mid-size suburb of Chicago, nestled among a number of other suburban communities. The village offers a diverse assortment of shopping and dining options as well as a well-developed parks system that provides many places to enjoy good weather. Convenient access to Chicago and the Midway Airport makes Oak Lawn a prime destination for businesses as well. Oak Lawn's history dates to 1835 when several families began to settle the land that would become this Illinois village. After the Civil War, the area attracted a large population of German immigrants. In 1881, the Wabash Railroad connected the community to Chicago, boosting its growth. Oak Lawn officially became a village in 1909. After its incorporation, the village set about making improvements and focusing on growth, adding streetlights, a village hall and a jailhouse. Over the next few decades, the community continued to grow and evolve, founding a local library, a volunteer fire department and the public school district. Like many of the nation's suburban communities, Oak Lawn experienced a population boom after World War II, as returning veterans and their families looked for a comfortable place to call home. Rebuilding and redevelopment was a constant process, in an effort to keep the village a desirable place to live. Within the village of Oak Lawn, you can enjoy more than 300 acres of green space, public parks and recreational facilities. These areas range from small neighborhood playgrounds to the largest park in the village, the 38-acre Centennial Park. Among the parks in the community, you can enjoy features like walking trails, playgrounds, sports courts, swimming pools, fitness centers and an ice arena. Another major recreational facility in Oak Lawn is the Stony Creek Golf Course. This 18-hole course also includes a miniature golf course, a driving range and horseshoe pits. If you're interested in improving your golf game, you can sign up for PGA instruction as well. Oak Lawn Hometown School District 123 manages the public schools of Oak Lawn. This district is one of just a small group of school districts to receive the IASB 2015 School Board Governance Recognition, honoring the Board of Education for its ongoing dedication to educational practices and professional development. Utilities: The village's water department manages residential water services. MidAmerican Energy is the village's selected energy provider. Garbage and Recycling: Trash, recyclables and yard waste are all collected on a regular schedule. Transportation: Pace Bus facilitates a network of routes through Oak Lawn and its surrounding villages. Personal Vehicles: All personal vehicles must be registered with the village, and you must purchase and display a village vehicle sticker on an annual basis. Oak Lawn has a fairly affordable housing market, with median prices that are in line with the national average. There are a variety of options to consider, ranging from small apartments to large, single-family homes, so you can find something that's both comfortable and affordable. Our lowest priced units in Oak Lawn, IL average $43.00 per month. 28 people have reserved units in Oak Lawn, IL in the past 30 days. There is 1 location within Oak Lawn, IL's city limits. There is 1 location in Oak Lawn, IL that offers AC and Heating features.